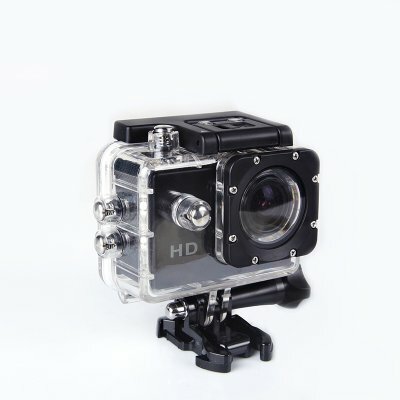 Successfully Added HD 1080P Sport Camera 170 degree Wide-angle Lens Waterproof Diving Video Camera - Black (1012-1248) to your Shopping Cart. GC1014 Image Sensor paired with a 140 Degree Wide Angle Lens allows the camera to capture an extremely wide field of view, while still keeping the image crisp and clear. High Quality video:1080P@30FPS and 720P@30PFS allow clear and vivid footage in many situation, whether is up in the air on the drone, deep down underwater, or on a clear bright day. Multiple Free Accessories: Perfect for outdoor sports such as motor-cycling, car racing, mountain-biking, and swimming, diving, etc.